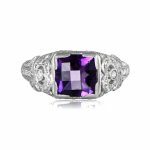 The Palermo Ring is part of the Manda Collection and features a stunning 1.19 carat deep-purple amethyst in the center that is surrounded by a halo of diamonds. 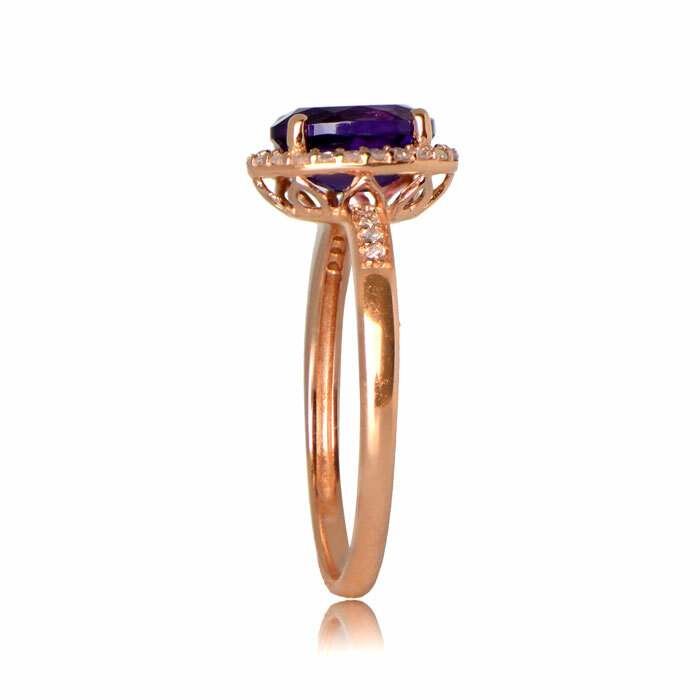 The semi mount is made from 14K rose gold and holds the center stone with prongs. 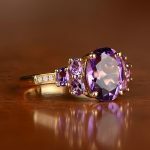 There are an additional 0.12 carats of diamonds surrounding the amethyst and on the shoulders. This ring can be resized to all finger sizes. 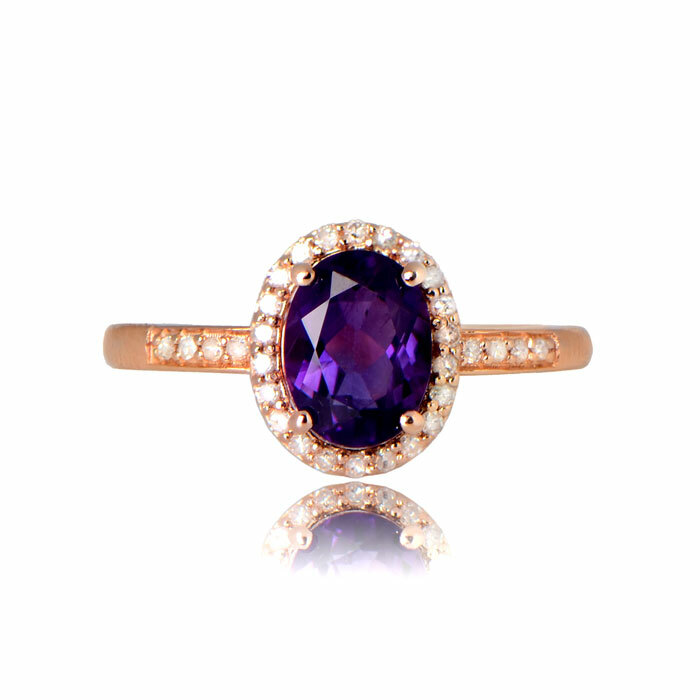 SKU: RR01075AM Category: Amethyst Rings - Contact us and request additional pictures.